The Sandlapper Singers is an auditioned chamber choir and nonprofit organization based in Columbia, South Carolina. Under the leadership of artistic director Dustin Ousley, the group is dedicated to presenting choral music of the highest caliber and ensuring the future of choral arts by mentoring young singers and educators. Founded in 1996 by Lillian and Dave Quackenbush, the Sandlapper Singers focuses on the works of American composers of the past and present, both traditional and contemporary. 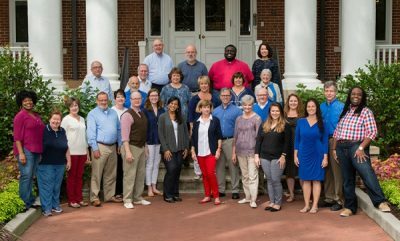 In addition to its annual concert series in the Columbia area, the ensemble regularly performs around the state and beyond. Sandlapper Singers present "Christmas Through the Decades"
Sandlapper Singers present "Bernstein & Broadway"